Doddington Dairy has launched a new cheese to appeal to the romantic natures in food lovers everywhere. Little Darling is a miniature version of the full-sized Darling Blue cheese, which is already part of our very successful range. As might be expected from the name, the small round cheese is ideal for intimate suppers, cosy weekends away together, or for any occasion where only two people’s appetites need be considered! The Little Darling is made from milk from our own dairy herd at the North Doddington Farm in Northumberland, where our cows graze on grass grown beneath the Cheviot Hills. Our Darling Blue cheese, named in memory of local hero Grace Darling, was awarded best new cheese at the 2015 British Cheese Awards. This is a limited edition, handmade cheese, which is matured for eight weeks and is available at our Milk Bar in Wooler and right here online. 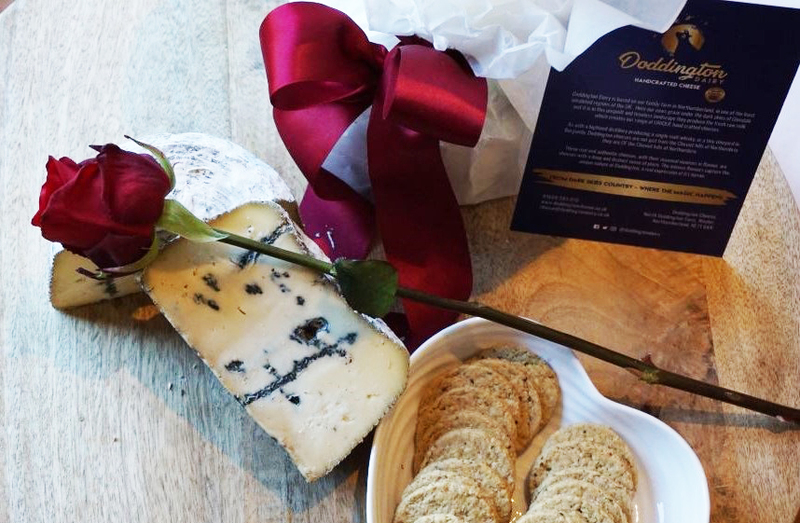 Get your Little Darling cheese online now for a special price of just £14 + next day delivery. Order by Monday 11th February for delivery on Wednesday 13th.